Capitalism in the form of structured finance is failing main street. My fantasy is that the government would engage in a little capitalism of its own and spread the wealth. My fantasy has few takers. Mr Krugman's ideas, on the other hand, are embraced by the New York Times and media all over the world. He wants the government to spend more. I will explain exactly why he wants that spending in a moment. If you think my fantasy is so far off base, you need to gain a glimpse into the really interesting, yet startling things Paul Krugman throws out once in awhile. He is quite entertaining, and yet he is very influential. If you think my idea for the government to engage in structured finance is insanely wild, Krugman seeks to convince us that we are blessed if we give Wall Street the gold for its own structured finance. He writes to a solution regarding the hot button issue in macro economics, the shortage of bonds, the new gold, as collateral. Wall Street loves him. He won a Nobel Prize. Krugman joins others I have written about, Kocherlakota, Summers, and many others who are worried about the shortage of collateral, ie, the shortage of bonds as gold, which could have the effect of slowing down the economy. I don't disagree with this likely shortage. But why do we always have to establish solutions that make for a better deal for Wall Street and a worse deal for our nation? ...As Duer and Macomb defaulted on their contracts and found themselves in prison, the price of securities fell more than 20%, all in the matter of weeks. The central bank promised to purchase excessive collateral from the lending institutions. It turns out that Hamilton's efforts were decidedly CounterCyclical, as opposed to the procyclical efforts to withdraw credit in times of distress and flood the system with credit when times are good! Lend freely, against good collateral, at a penalty rate" is still considered the gold standard for managing a financial panic as the "lender of last resort. 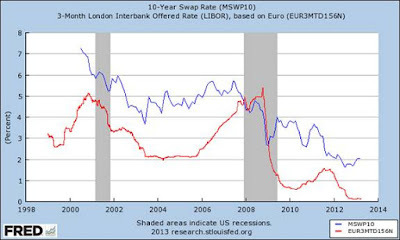 One wonders if the central bank forgot to be the lender of last resort in 2008? Continuing to offer loans was something missing from the Ben Bernanke plan of 2008. The Commercial Paper Market imploded and no efforts were made to revive it, and it destroyed real estate markets everywhere, even where many of the loans were sound. So, the result was the Fed focusing on big business, because it still had good collateral. It brought rates down (which exploded in the Great Recession) so that corporate bonds, even though subject to a 20 percent haircut, would be good collateral once again. Here is an online flyer pitching the benefits of using corporate collateral for interest rate swaps and futures. It has the subtitle: Corporate Bonds as Collateral for Cleared Interest Rate Swaps and Futures. Certainly, oil market bonds-as-collateral are often junk bonds, priced high with yields that do not necessarily reflect their risk. I wonder if the Fed would throw the oil industry under the bus (like it threw real estate) if it ever decided the collateral for oil was bad! Cynical me believes that investors really want more treasuries to bypass all haircuts. A 20 percent haircut is a lot. So, this brings us back to Krugman. He says it is a blessing that we establish deficit spending. He is confident that bond yields won't rise too much, due to massive demand for bonds. I happen to agree with that, but they may continue to decline as well, after the first issuance. But would massive deficit spending be a blessing, as we get a little infrastructure while Wall Street gets the collateral to make deals? ? That isn't a fair trade if you ask me. Would Paul Krugman's plan be any better than the fantasy I expressed in the opening of my article, that the treasury could keep the bonds and do deals with them to make money for main street? Fellow citizens, we are being ripped off. Our government owns the gold, and it belongs to us. It didn't used to be this valuable until the advent of structured finance with the blessing of Alan Greenspan in the 1980's. Truth is, the treasury sells the valuable bonds-as-gold for a pittance, and Wall Street makes a killing off of the results. We are so blessed we can hardly stand it. We citizens, of this great nation, are prisoners to structured finance. Let's turn Wall Street and structured finance into the slave of government, prisoners of us, the people! That cannot be more insane than Paul Krugman calling deficit spending to make Wall Street richer, a blessing. Even Alexander Hamilton did not establish a New Normal of slow growth when he sought to have a few treasury bonds available for business. So, because Krugman's plan is too lopsidedly beneficial to Wall Street at citizen expense, and my fantasy could get a bit complicated, it would be a lot simpler for the Fed to consider real helicopter money before considering deficit spending. At least people could afford to pay a little more tax if they had a real helicopter drop come their way and a stable tax base is what existed in Hamilton's time. Hamilton's national bank did not establish structured finance for a massive derivatives program that lends itself to bond hoarding and a growing financial sector at the expense of the real economy. Krugman wants us to think that he would have approved of Americans being ripped off for the sake of Wall Street. I don't think he would have approved at all. 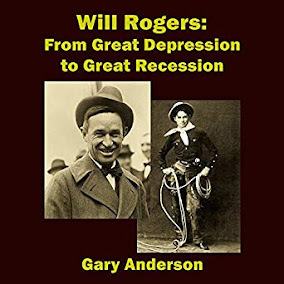 No, I bet Hamilton would have liked my two ideas better, because he was more concerned about the increase in the money supply, which is now depressed on main street, and in helping the real economy. Krugman and progressives thought regulation of the derivatives markets through Dodd-Frank's clearinghouses would help stabilize the financial system. And it seemed like a good idea. But creating more demand for treasury bonds as the collateral of choice, and with that the creation of these bond shortages, has serious unintended consequences. Swaps are bets, and creating massive deficits in order to provide collateral for gambling by the uber rich could destroy the fiscal soundness of the American government in a down turn. Get your gambling collateral from somewhere else, Wall Street. Or pay a premium price to we the people.